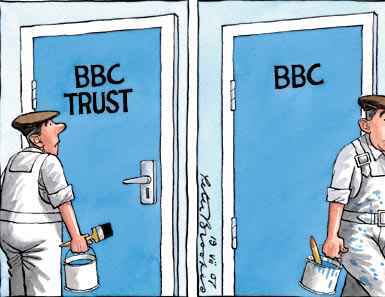 The Neo Marxist BBC must be brought to a swift end by the British people. The anti-Trump bashing and undermining of Brexit by the BBC are notable examples that have proven beyond any doubt that the UK state broadcaster is an enemy of the British people. Europhillic, infested with cultural marxism and pregnant with its own self importance, it is long past time there was a mass revolt against the TV tax and the subterfuge with which it masquerades as a ‘Licence fee’. An enforced tax on watching live TV in 2017 is just pure lunacy. In the face of tyranny, the individual must make a stand. Making ‘watching Live TV and the BBC iPlayer’ a ‘criminal offence’ is not proper law. All it does is protect the private interests of an elite few. Such a ‘law’ has no credibility. The spineless UK government seems determined, in the face of reason, to continue to perpetuate this unjust law to protect this corrupt organisation. (i) Cancelling any TV Licence and direct debits you have. (ii) Don’t watch the iPlayer or live TV. (iii) Having no further contact with the BBC’s TV Licensing Capita contractor in any form whatsoever. Rule 3. At all times NEVER ADMIT to any TV Licensing representative that you have watched or recorded ANY LIVE TV or the BBC iPlayer on ANY device for ANY reason. Also NEVER ADMIT TO WATCHING ANY INTERNET STREAMING BROADCAST as it is also shown on TV. This can be SKY NEWS or AL-JAZZERRA originally beamed from Doha. Note this is not restricted to just BBC as some mistakenly believe. Only ever say you watch DVD’s/Netflix etc and (non-BBC iPlayer) Catch-Up TV only. IDEALLY have ZERO further contact with any TV Licensing, G4S or Capita contractor representatives. If you answer the door by mistake and discover it is them, simply close the door. The BBC will always revert to the standard threat letter cycle which should be binned as soon as they arrive. If the vote for Brexit is anything to go by, our so-called elected representatives do not represent the majority. Only by refusing to fund this BBC dinosaur can we have any hope of seeing an end to this tyranny. After the referendum – regardless of the result, I want the issue of the BBC dealt with once and for all. I think the one thing we can all agree on is that it is fundamentally unfair to deny people access to ALL TV content without paying a license fee that applies solely to the state broadcaster. In an age where there are a myriad of ways to ensure that content is protected until paid for, there are no excuses for criminalising someone who wants to watch ITV purely because they haven’t handed money to the BBC. Whereas I’d be inclined to withdraw payment of the license fee and ditch TV all together, my kids simply will not understand – so the approach will likely have limited impact. 1 – Force debate in parliament via petition. I’m not expecting this to do anything but raise awareness, yet at least the government will have to publicly defend the indefensible. The petition needs to be well worded and avoid simply falling in to the ‘BBC is good value for money’ argument – it needs to highlight the unfairness of the anachronistic approach and the ransom which people are subject to in order to get ANY media. 2 – On the principle that it’s a gross unfairness to force people to pay the BBC, even when they don’t watch/like/agree with it, we should set up a legal fund and be prepared to challenge the government in the courts – on the basis that it’s our right to enjoy other media without payment and the BBC can (and should) protect its content via subscription. Perhaps have an initial fund to test the viability of the case and then, if successful, a secondary fund to back the legal challenge. It’s almost certain that these things have been considered and done before – but changes in technology and the approach to broadcasting mean that we need to keep testing this until we break through. The idea of a TV licence as it stands is just as if you had to pay £150 for a Tesco Clubcard that was required not only to shop at Tesco’s, but at any other supermarket. In any other industry (because that is what it is – the BBC is a commercial organisation whatever guff it puts out about public service broadcasting), this would be seen as ludicrous. I had this letter recently saying you have 10 days to get a licence – but you had to turn over to p2 to see that you don’t need one if you don’t have a TV. We ( pensioners) have increasingly been living with daughter and have had no TVs or radios on our home premises for months. We are in the course of hopefully selling our home so advised TV Licensing that we should be due a refund – from the date of our letter we should be entitled to about three and a half months refund. They have sent an official looking ‘form’ requesting all sorts of rude info – like they MUST have our new address ( why?? ), they want final utility bills or solicitors details re the sale of our home !!!! Are they incapable of believing our statement that there are NO TVs at our address now and nor will there be under our ownership!! They are bullies !! !